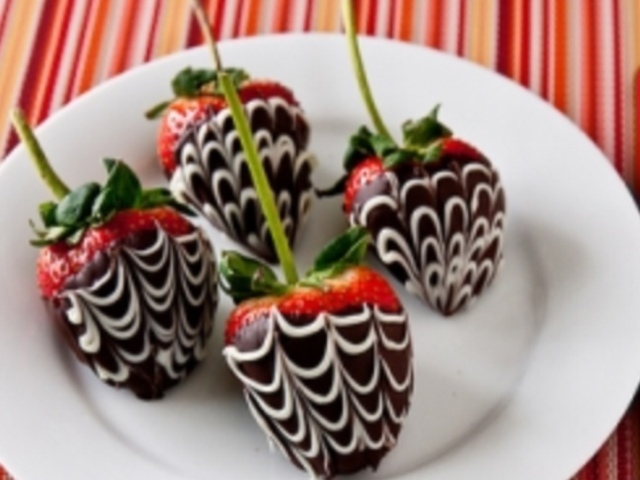 Click here > Chocolate Covered Strawberries for yummy recipe. "delicious juicy strawberries and dark chocolate OH MY can this get any better?" Try these, they will be great for valentines day, yummy treat or dessert. No chocolate does not give you zits, how awesome is that? 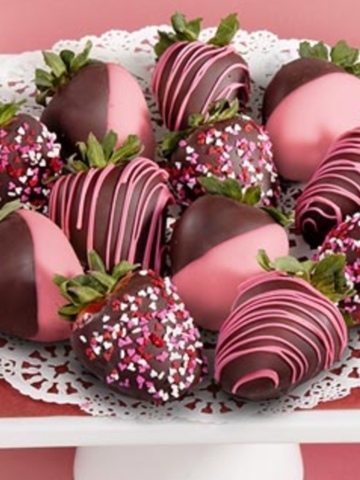 "yummy dark chocolate covered strawberries!" Quick tip: try strawberry chocolate or sprinkles like in the picture below.